A few years ago Steven Soderbergh announced his plans to retire from the film industry and move into painting and television. Thankfully that didn’t last long. The man behind Out Of Sight, Traffic, Haywire, Contagion, and the Ocean’s Eleven trilogy has returned with a new heist movie a world away from his classy all-star Hollywood heist comedies. This one is lovingly set amongst the trailer park dwellers of the South. It’s about a team that attempts to pull off a massive heist without any experience or resources. It’s also one of the most purely entertaining American movies of the summer and hopefully, folks will show up to support Soderbergh’s star-packed indie oddity in the same numbers that finally gave Edgar Wright his first $100 million hit this year. Channing Tatum and Adam Driver star as a pair of brothers whose lives have been so defined by bad and dumb luck that they are convinced there’s a family curse. Tatum was a high school football star whose wonky knee cut his career short and left him working a series of construction jobs. Meanwhile, Driver lost a hand in the army and is stuck filling shot glasses. Tatum has an idea to get them out of this listless loserdom though. He’s been working a job that involves fixing sinkholes in a NASCAR track and has found a way to steal a dump truck full of money through the tunnels. To pull it off, they’ll need the help of a local redneck super criminal played by Daniel Craig. The only snag is that he’s in prison, so it’ll have to be a prison break as well as a heist. Hey, what could go wrong? Well, quite a bit obviously. This is a heist movie. Perfect plans never go exactly as intended in that genre, now do they? 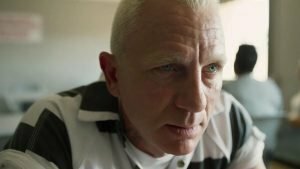 Logan Lucky is far from the most original or ambitious movie that Steve Soderbergh has ever made, but it is easily one of his most charming and entertaining outings. The film is clearly the product of a director excitedly back in the saddle, having a blast, and inviting everyone along with him for the ride. It whisks along at a constant pace and no scene feels wasted. There’s always a laugh or insightful character beat or necessary plot point (even if you aren’t necessarily aware when all of the latter are happening for the sake of sneaky secrets). There’s plenty of drama and suspense, but rarely fear or anger or anything that might disrupt the good vibes. It all looks beautiful and hums along with constant style. The flick is every bit as meticulously constructed as one of Soderbergh Ocean’s Eleven blockbusters, just with more of a DIY down home flair. Well, as much as is possible in a movie star vehicle. As relatable and real as the world may feel, practically every cast member is a star and does their job damn well. Channing Tatum tosses another lovable lug with a heart of gold into a career filled with them, coming off like an old-timey movie star stuck out of time. Adam Driver is absolutely hysterical as the hangdog brother, finding a voice that gets laughs and delivering a character with such deadpan perfection that his biggest laughs often come from stunned looks of silence. Daniel Craig practically steals the whole movie in his role as a trailer park master thief (especially when he combines gummy bears, fake salt, and sugar for an important concoction), playing a character that is miles away from his stoic James Bond yet just as endearingly watchable in all new ways. Everyone in the cast is used to perfection. Even Family Guy’s Seth MacFarlane delivers one hell of a jackass who fits into Soderbergh’s carefully constructed sense of heightened realism perfectly. It’s a joy to simply watch this gang get up to trouble. 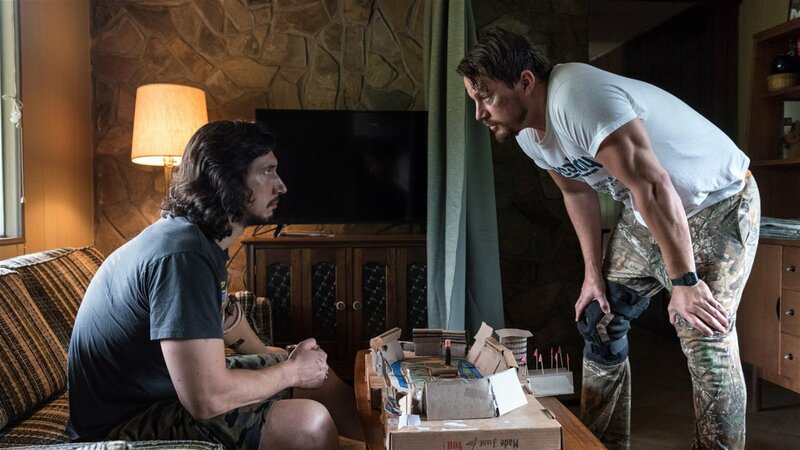 Logan Lucky is one of those movies so breezily entertaining that it’s easy to miss just how well made it truly is. The flick bounces around from one goofy, suspenseful, or thrilling scene to the next with a gentle hum. Its lovable cast of misfits grows on viewers until all are loved. It feels like it unfolds casually and yet to pull that off requires such specific writing performing, staging, and editing that the film couldn’t be more meticulously crafted. It’s just a meticulously crafted goof and one so amusing that it’s hard to imagine anyone exiting the theatre without a grin plastered from ear to ear. That’s good stuff, exactly the sort of thing that summer entertainment is supposed to do and hopefully, that translates to box office on this one. You see, even though this is one of Steven Soderbergh most mainstream entertainments, it’s also in a way one of his most experimental productions. No studio or production company was involved. The director financed it by selling off the foreign distribution rights and then paid for advertising by selling all of the streaming and home video rights. All of the cast and crew worked for union minimum. 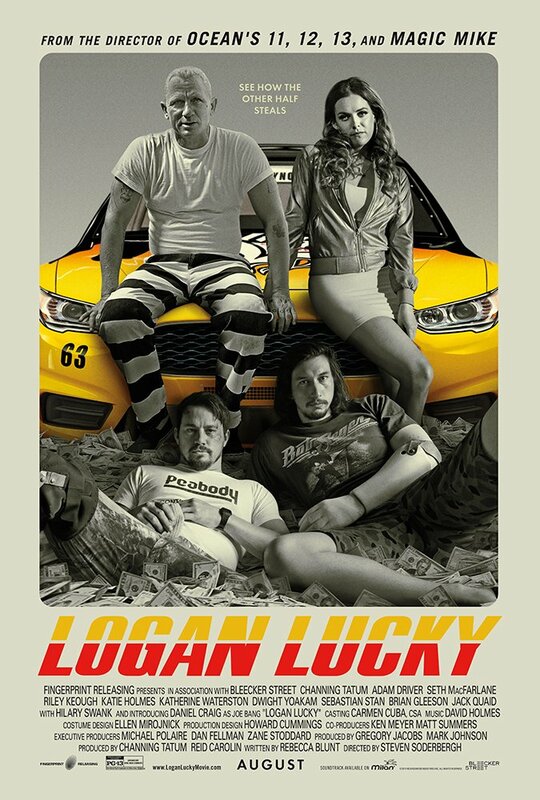 However, that also means that Logan Lucky hits screens having already broken even. Every dollar made will go back to the creators with no studio interference. That only happened because digital projection cuts down so significantly on distribution costs. It’s a model that could only exist today and if it works, will open up a new avenue of independent filmmaking for established artists that will allow them to put their money where their mouths are, take a big risk, and reap all the profits. If the experiment works, it won’t just mean Soderbergh can keep making whatever he wants without studio interference. It also means that all filmmakers can pick up this model and run with it. That could lead to some special movies that would never exist otherwise. 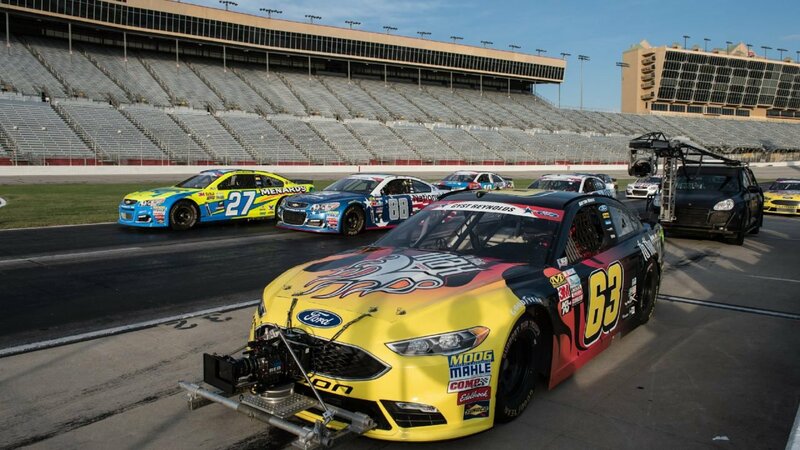 So do yourself a favour and buy a ticket for Logan Lucky. You won’t just have a damn good time at the theatre; you might also help change the art form for the better. Not bad for a charming movie about dumbbells robbing NASCAR, huh? A delightful low-rent heist movie romp designed to entertain the hell out of anyone who puts it in front of their eyeholes.